We’ve all heard of IQ and EQ…but what about GQ? 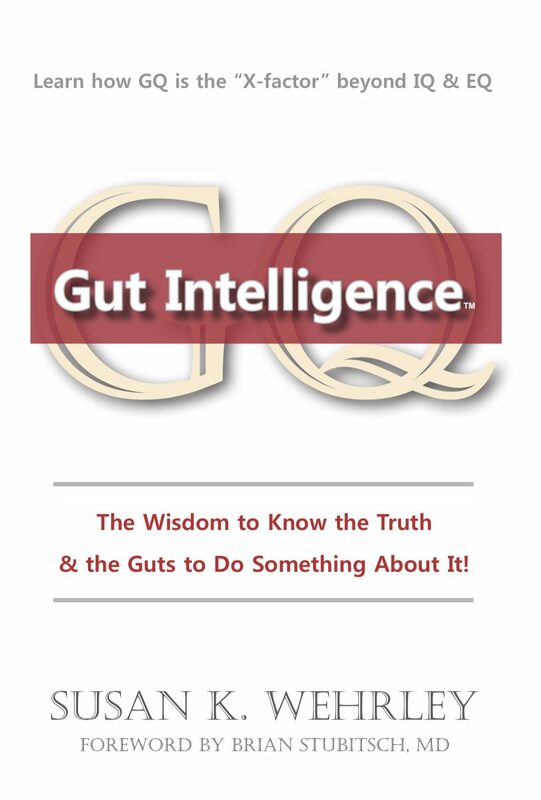 GQ stands for Gut Quotient and is the way we measure Gut Intelligence. Gut Intelligence is more than trusting your gut to alert you, it’s also allowing your heart to align you to what is important to you (your values), and allowing your mind to help you clarify what options work best to align to your vision and goals. When leaders have high GQ, they are clear about the vision, values and goals and make decisions accordingly. The help employees do the same by engaging in conversations and tying them to the vision and goals before they start meetings and problem-solving sessions. Those with high GQ have the wisdom to know the truth and the guts to do something about it. That is because they have learned to quiet their chattering mind, when it’s full of anxiety so they can listen to the still small voice we call intuition. This doesn’t mean leaders with high GQ don’t look at the facts and data. It’s just that they look beyond the facts and data and pay attention to how they feel, what they notice, and whether the facts add up or not. That means paying attention to the culture: How people are acting, choosing and behaving. When we watch the behavior, we know the truth because communication is 7% words, and 93% body language, tone of voice and behavior. Are you a leader with high GQ?